TONYA SEAVERS EVANS TALKS ABOUT "STRATEGIZING YOUR PROFESSIONAL STYLE"
What’s your professional style? Does it send the right message? Well have no fear because Miami based image and communications consultant Tonya Seavers Evans, owner of Style Strategist Inc. can teach you how to “dress on purpose.” Whether you are an entrepreneur, executive or public figure- Tonya understands the complexities of cultivating an image and will help you reach your leadership potential and achieve your career goals. Bronze Magazine caught up with the busy style strategist to find out more about her passion to help her clients create, develop and harness the power of a polished, professional impression. Tonya, I’ve heard so many great things about you from a mutual friend. It’s an honor to finally have this chat with you. Please share with us your definition of an image and communications consultant and how you got started in this business? Thank you Shawn, and the admiration is mutual. I really appreciate this opportunity to share my style philosophy. Style Strategist works with each individual to help them define what I call their “blend out” style strategy. It’s about coming up with a style that takes into account where you are today, your aspirational goals and your lifestyle to create a style that is uniquely yours and makes you feel the most confident and professional so your message is the focal point. I have always been fascinated by the power of image but stumbled into it as a career. I was working in public relations when I met an executive for an interview taping. When he arrived he told me that his luggage had been lost so I had to run out and replace his suit before the taping of our segment. He really liked what I selected and through that experience I realized that I could marry my two loves― image and fashion with writing by creating an image and communications consulting company. How important is image to one’s professional goals? When someone meets you for the very first time – whether online or virtually it takes them as little as five seconds to make assumptions about your character, social status and aspirations in life and most people are unaware of that. In today’s competitive environment, having an image that is professional and polished can give you the edge you need to land a new deal, get that promotion or secure a new client or job. Today, even small businesses are competing for business around the globe and that attention to detail in creating your image can make a huge difference. You have been described as a “packaging genius.” What makes your approach to personal branding and image management so unique? I think my clients realize that I take a very holistic approach to image consulting. I take the time to understand who they are. I review their marketing material, get to understand their key messages, and go to see them speak when appropriate so I can create an image that reinforces their brand identity and fits into their overall lifestyle. I also make it clear that my goal is not to give them a cookie-cutter look or make-over. I want to give them a style that makes them look and feel confident, professional and authentic. Your “Blend Out Style Strategy” involves carefully evaluating certain elements like silhouette, fabrication, color, and intensity. How easy or hard is it to convince professionals to step outside of their comfort zone and embrace a new style? I begin by educating my clients about what elements create a successful image. I have a step-by-step process to evaluate color and silhouette and other image elements so that they have a real understanding about why I make the recommendations that I make. After that, we do a comparison with photos so the client can see the difference. The camera is like truth serum – it doesn’t lie! When my clients see the difference for themselves it’s a real “aha” moment for them and makes my job much easier. They are also reassured by the positive feedback they receive from their peers. What is one of the best compliments you’ve ever received from a client? I do this work because of the great feedback from my clients so that’s a tough one. But I had a client tell me that she has always been the smart girl never the pretty girl and after working with me she was both! I was floored! It made my year and I could clearly see the impact my work has on others―very humbling. Can you share a best practice for creating an effective image? 1. Always buy clothes for the widest part of your body and then take the item to be tailored to fit. 2. Only keep things in your closet that you love. If it doesn’t make you feel like a million dollars when you put it on, get rid of it. 3. Keep a few crisp white shirts on hand. They are a no-fail solution for any occasion. 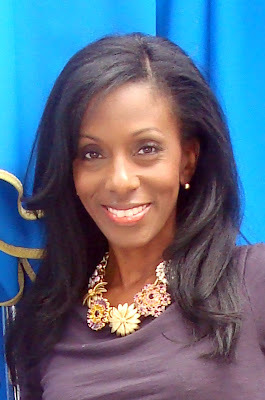 Reading: TONYA SEAVERS EVANS TALKS ABOUT "STRATEGIZING YOUR PROFESSIONAL STYLE"